Tianwei New Energy is located in in west China. Tianwei New Energy Holdings Co Ltd. (TWNE) is an affiliate of China South Industries Group Corporation (CSGC). Tianwei is a company with over 50 years’ history and has a well established fully integrated PV industry chain (silicon-wafer-cell-module). The Tianwei Group is primarily into power transmission. TWNE engages in the entire value chain of the solar photovoltaic (PV) industry – the R&D, manufacturing, sales and service of polysilicon materials. It is a fully integrated polysilicon, wafer, cell, module and PV system supplier. TWNE has a total investment of about USD1.5 billion. TWNE’s solar panel manufacturing capacity is 500MW. It has six subsidiaries. Tianwei Group has established new energy company called Tivok in Australia, which focuses on energy saving solutions for lighting systems and photovoltaic systems. Tivok Australia manufactures TUV & UL certified solar panels for commercial, residential, utility & agricultural needs. Tianwei Solar panels can be divided into: Monocrystalline & Multicrystalline Modules. Modules are available in the 190W ~ 250W and many more capacities. i) TWxxxM72-BA and ii) TWxxxM72-BB. The above series is available in TW180M72-BA, TW185M72-BA, TW190M72-BA, TW195M72-BA, TW200M72-BA with maximum power ranging between 180~200 Pm(V). The above series is available in TW170M72-BB, TW175M72-BB, TW180M72-BB, TW185M72-BB, TW190M72-BB with maximum power ranging between 170~190 Pm(W). Cable(length/cross-section area) 1100mm/4 mm² . i) TWxxxL60-FA, ii) TWxxxL72-EA, iii) TWxxxP54-CA, iv) TWxxxP54-GA, v) TWxxxP72-EA, vi) TWxxxP60-FA and vii) TWxxxP60-AA. The above series come in TW240L60-FA, TW245L60-FA, TW250L60-FA, TW255L60-AA with maximum power ranging between 240~255 Pm(w). The above series come in TW290L72-EA, TW295L72-EA, TW300L72-FA, TW305L72-EA, TW310L72-EA with maximum power ranging between 290~310 Pm(w). The above series come in TW195P54-CA, TW200P54-CA, TW205P54-CA, TW210P54-CA, TW215P54-CA with maximum power ranging between 195~215 Pm(w). The above series come in TW200P54-GA, TW205P54-GA, TW210P54-GA, TW215P54-GA, TW220P54-GA with maximum power ranging between 200~220 Pm(w). The above series come in TW275P72-EA, TW280P72-EA, TW285P72-FA with maximum power ranging between 275~285 Pm(w). The above series come in TW225P60-FA, TW230P60-FA, TW235P60-FA, TW240P60-FA, TW245P60-FA with maximum power ranging between 225~245 Pm(w). The above series come in TW220P60-AA, TW225P60-AA, TW230P60-AA, TW235P60-AA, TW240P60-AA with maximum power ranging between 220~240 Pm(w). After 25 years, the product’s output power shall not be less than 83% of the minimum output power as set forth in this specification. All Tianwei panels come with TUV, UL and MCS-BABT Certification. Also a vertically integrated PV value chain ensures secured supply, high quality and low cost of Tianwei products. 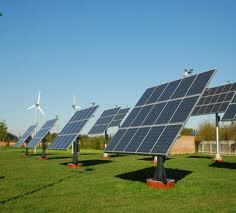 Tianwei solar panels are cheap and affordable, being Chinese. The module would cost around 70 cents per watt.